A head-on collision north of Don Pedro Reservoir claimed the life of an Oakdale woman on the night of January 31, 2019. The auto accident occurred shortly after 6:00 p.m. along Highway 120 just west of Sims Road. A 37-year-old Modesto woman was driving eastbound along the highway in a Ford Explorer with an infant in the back seat. The woman approached a curve in the road and crossed into the oncoming traffic lane in the direct path of a Toyota Prius. The two vehicles then collided head-on. The Ford driver suffered minor injuries, and the infant was uninjured in the accident. Sadly, the Toyota driver succumbed to her injuries at the scene. Officials have identified the decedent as 55-year-old Guillermina Goff of Oakdale. My prayers and sympathy are with the friends and family of Ms. Goff in their time of loss and sorrow. The cause of the head-on collision remains under investigation by the California Highway Patrol (CHP). It is unknown whether drugs or alcohol were factors in the car wreck. Traffic collision reports by CHP are usually processed within one to two weeks. 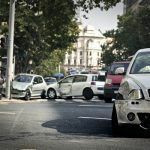 When a collision involves a fatality, officials may extend this timeline based upon the circumstances of the accident. Serious injuries and fatalities are common in head-on collisions. This is due to the area of impact, the rate of speed by each involved vehicle, and the nature of the accident. For instance, two cars traveling at highway speeds that strike each other head-on can increase the force of impact. This is similar to that of colliding with a brick wall at high speed. Since airbags and seat belts are designed to work under certain conditions in a crash, this may affect the severity of injuries suffered by vehicle occupants. 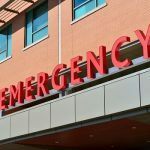 These may include cervical sprain, lacerations, neck injuries, abdominal trauma, spinal injury, and wrongful death in some extreme cases. Families who have lost a loved one in an auto accident often suffer significant emotional and financial losses, both immediately and in the future. When that loss is caused by the negligent actions of another person or entity, the family of the decedent may file a claim for wrongful death. 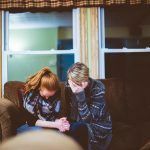 These types of cases allow families to seek financial compensation for the psychological and economic harm they suffered as a result of their loved one’s death. To learn more about these types of claims, watch the following video. Establishing liability in a head-on collision is essential for surviving family members. This allows them to recover compensation to pay for wrongful death damages such as costs of a loved one’s funeral and burial, end-of-life medical treatment, loss of income for the household, and other related expenses. 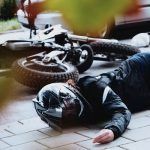 A Modesto auto accident lawyer who is experienced in handling wrongful death claims can investigate further into an accident to properly determine fault. By doing so, the attorney can build a strong case for compensation of resultant losses. While monetary compensation can never replace a lost loved one, it can help provide a family with the financial resources needed to move forward from their loss. I’m Ed Smith, a Modesto car accident attorney. The loss of a loved one is devastating. When that loss is caused by the negligence of someone else, the grieving process is only intensified by feelings of anger and frustration. If you have been injured or lost someone you love in an accident due to the fault of another driver or entity, please call me at (209) 227-1931 or toll-free at (800) 404-5400 for compassionate, free and friendly advice. I was offered membership in the Million Dollar Advocates. This forum is comprised of trial lawyers who have settled a case worth $1 million or more for a client. I am also a member of the National Association of Distinguished Counsel, an organization which admits attorneys who have exhibited high standards of legal excellence in their practice. Learn about the past cases our firm has handled on our Verdicts and Settlements page.